← Your Setback Is God’s Set Up For Your Comeback! Greg, thank you for this heartfelt tribute! I can feel the love of God woven between each line. Myles Monroe’s legacy lives on. His ministry will never die. This piece is graciously filled with honor. May God bless us all as our hearts heal; knowing we will see Myles again in eternity. Greg, thank you for share and set a model to serve and honor others. I would like to testify “about promoting others…” I did not email to you, asking for the book, but I learn about it, watching the video conference of Pastor Monroe. He encourage me to look for the book and buy it. What a blessings!!!! promoting others….. Thank you Sir, i am writing these email from Africa,Kenya. I would love to get your email and more so how i can get your book ” The blessing of serving another Man’s ministry. 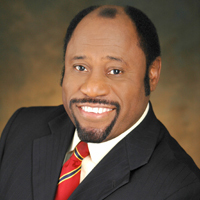 I cant stop watching Dr.Munroe’s last sermon in Dr.Cerullo’s meeting.May God bless the generation this Man of God served.